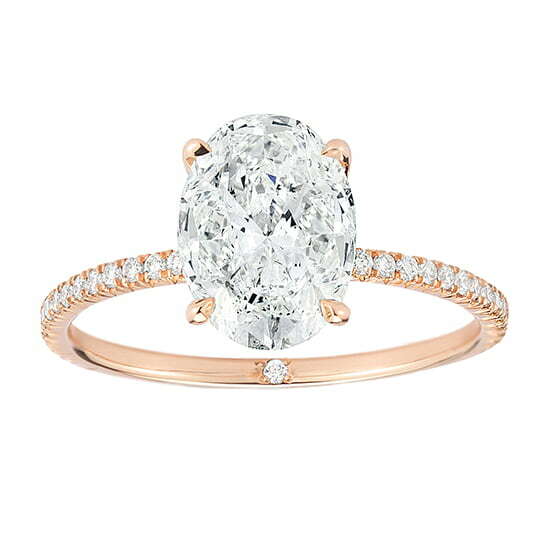 Are you looking for the perfect engagement ring, which truly reflects your own personal style? Well you have come to the right place! We have an abundant collection in our showcases for you to select from. And if you don’t see exactly what you want, in your optimal shape, size, color or clarity, we will create your dream ring with you! Whether you are looking for the thinnest micro pave diamond band, an especially low setting, or a new take on a classic, we can create a unique ring, bespoke to you. Simply set up a time with a member of our team who will curate a beautiful array of diamonds for you, all within your personal specs. In your private diamond viewing appointment, we will explain everything you need to know regarding the diamond and setting options. This way, you can feel confident that you are making the ideal choice for you and your fiancée! 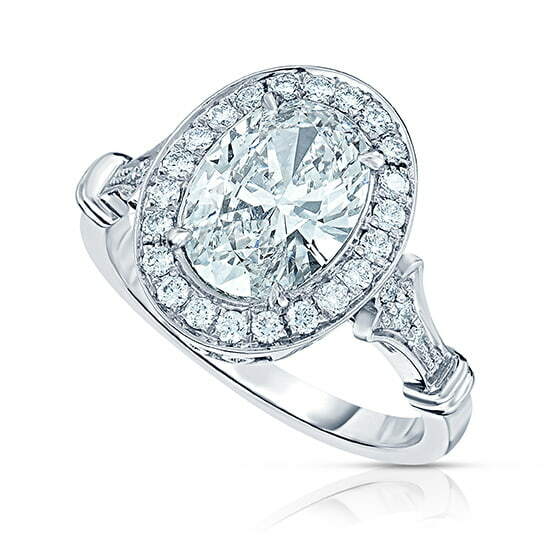 Are you looking for an engagement ring with a thin, delicate looking, diamond band? Would you like it to fit flush with your wedding band? As you know, Marisa Perry specializes in the ultimate micro pave work, with designs fitting flush to most wedding bands. 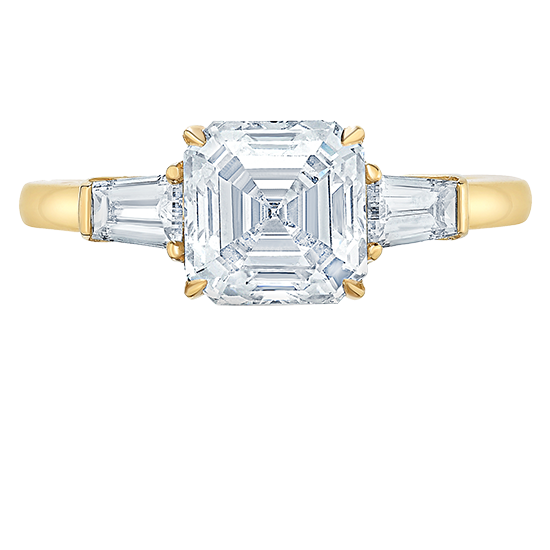 Whether you fancy an Oval, Emerald Cut, a Round Brilliant or a Cushion Cut, you will find a wide array of designs with and without diamonds around the center stone. Whether you want a simple solitaire or a three stone ring, Designer Douglas Elliott’s subtle design elements create the most beautiful! You will love his baguette settings as well as his use of other side stones. Come in and take a look, or peruse our site for some inspiring new takes on classic designs. Explore through time, our newly created Vintage Collection. Whether you have a passion for Edwardian or Art Deco, you will enjoy Elliott\'s Antique and Vintage designs. You select whether you prefer your favorite in Rose Gold, Yellow Gold or Platinum, and create your own Vintage style setting, bespoke to you.